I'm a Metalhead since 1977. First albums bought: Led Zeppelin IV and Black Sabbath's Never Say Die. In 1981 I went to my first Heavy Metal concert, Girlschool (Hit and Run tour), followed by Rainbow in 1982. Between 83 and 86 I belonged to the direction of one of the first Metal fan clubs in Portugal, called Legião Negra (Black Legion). This club published a paper zine called Sons do Apocalypse (Sounds from Apocalypse, same as this net page) that last for 11 numbers (see below). In 1998 I started my adventures on the net making one of the few portuguese Metal webzines, first in Portuguese but later translated to English. It was based on a free server called Tripod (server still exists but is now completely soiled with advertisements). The objective was to make a page, easy to load and easy to maintain, to deliver some information useful for Metal fans, also contributing for some Portuguese Metal dissemination. I had the luck to make good friends and interesting interviews such as Virgin Steele, Lost Horizon or Freedom Call. At that time I also participated actively in some Metal mailing lists, namely the Powermetal mailing list. Due to lack of time, it hibernated in late 2001. I used to be anti-Facebook, add an account in 2013 just to get Metal information (many things I still dislike). In the beginning of 2014 I started to meet many great friends and bands (Metal Brotherhood at its best), going to many more gigs and ordering stuff directly from bands. So, the relaunch of Sounds from Apocalypse came naturally. 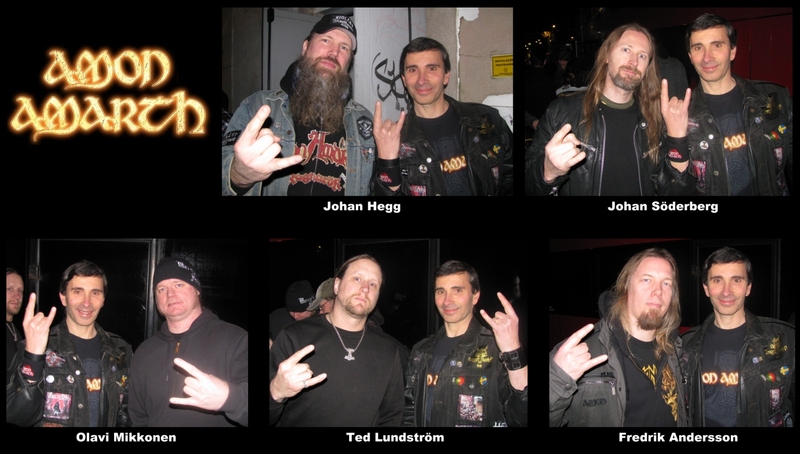 Favorite Styles: Melodic Death Metal, Viking and Pagan Metal, Power Metal, Folk Metal, Heavy Metal, Melodic Black Metal. My keywords are fast, melodic, guitar oriented and well played. I don't like Glam, most Hard Rock, most Death Metal, most Doom Metal, Metalcore, Grindcore, Deathcore, Nu-Metal, Industrial Metal, and everything outside Metal (except The Doors and some Classic Music, but this less than 0.01% of music listening time). Favorite Bands: Amon Amarth, Equilibrium, Wintersun, Powerwolf, Finsterforst, Skálmöld, Skyforger, Wormwood, Shylmagognar, Unleash The Archers, HammerFall, Atlas Pain, Ensiferum, Aephanemer, Tyr, Sabaton, Gamma Ray, Valhalore, Excelsis, Freedom Call, Suotana, Obscurity, Frosttide, The Storyteller, Wolfheart, Manegarm, Suidakra, Orden Ogan, and hundreds more. Favorite Portuguese bands: Gwydion, Mindfeeder, Attick Demons, Moonshade, Dark Oath, Moonspell, Heavenwood, and many more. 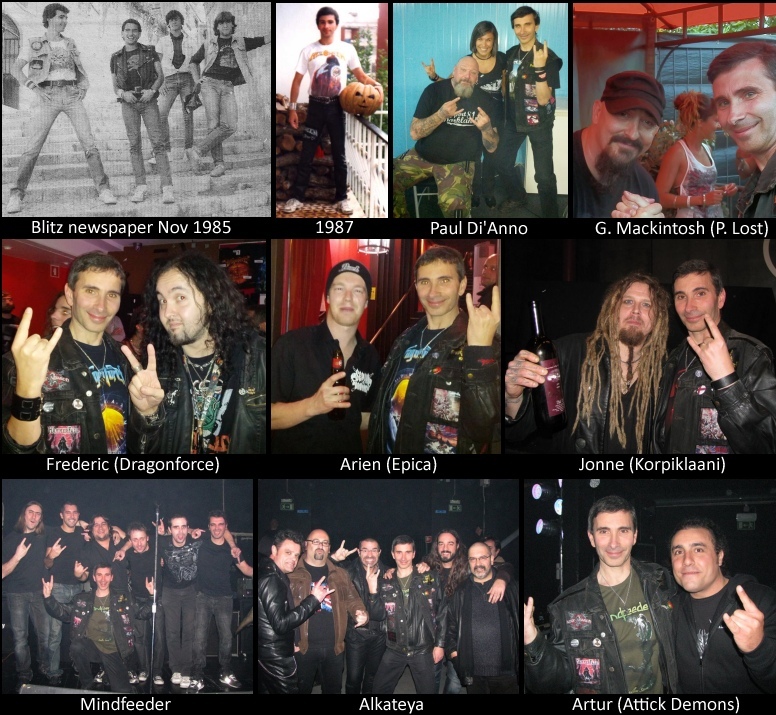 Legião Negra (Black Legion) was a Heavy Metal Fan-Club based in Amadora/Rio de Mouro, that started out in 1985. Sons do Apocalypse (Sounds from Apocalypse) was the second Metal paper fanzine published in Portugal, with the 1st issue released in February 1985. Legião Negra released 11 issues, until February 1986, when it ended.